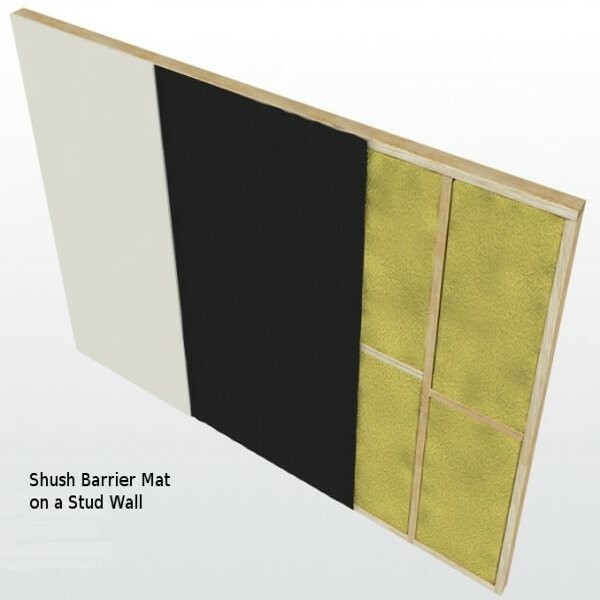 Shush 5kg Acoustic Barrier Mat is a 2mm thick mass loaded vinyl sheet for reducing sound transmission in floors and lightweight stud walls. 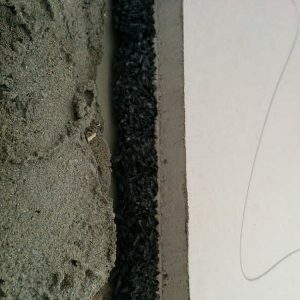 Shush 5kg Barrier mat is a heavy acoustic mass loaded vinyl membrane (5kg per m2). 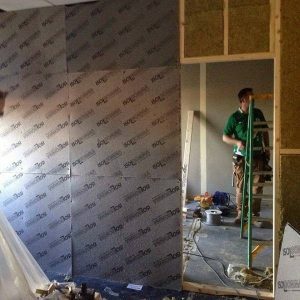 It is nominally 2mm thick with excellent sound insulating qualities which will give significant airborne sound improvements to lightweight structures such as walls and floors when used as a sound barrier. 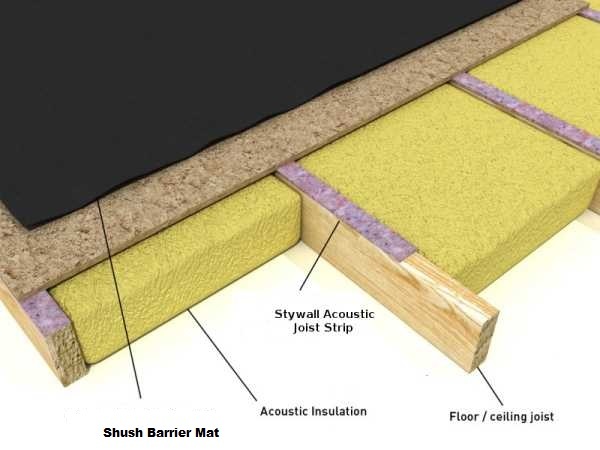 A double layer of Shush Barrier Mat glued onto timber floors will greatly reduce airborne noise penetrating to or from the room below. Shush Barrier Mats are simple to install. 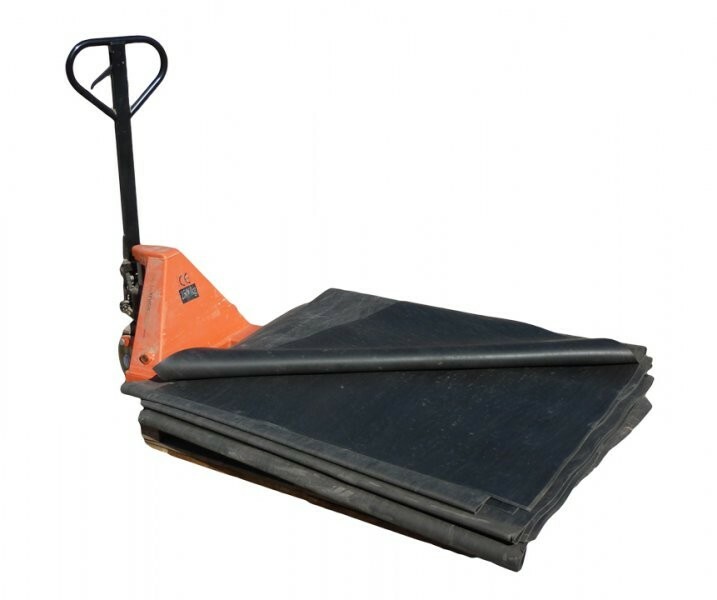 The barrier mat can be fixed in place by mechanical means or bonding using a polyurethane based contact adhesive (type A7153). Alternatively a solvent based acrylic pressure sensitive adhesive (type A419) can also be used.